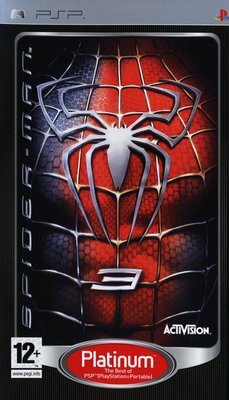 Based on Sony Pictures Entertainments Columbia Pictures upcoming feature film, Spider-Man 3 allows players to experience the actions of heroic red-suited Spider-Man and, for the first time ever, his darker, more mysterious black-suited persona. Set in a larger, dynamic, free-roaming New York City, the game gives players the freedom to choose their own gameplay experience through multiple movie-based and original storylines, fully integrated city missions and performance rewards including improved speed, combat maneuvers and agility. 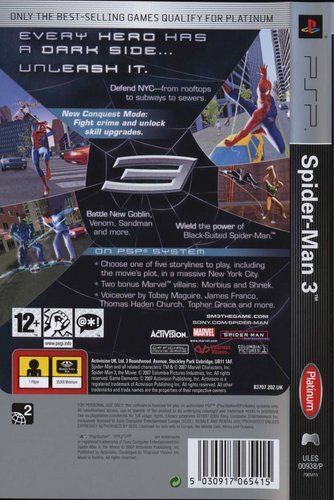 In Spider-Man 3, players draw upon Spider-Mans completely revamped combat abilities as they protect the city and defeat nemeses using expanded aerial fighting, finishing moves and dynamic webbing during missions and epic boss battles.